A major restoration project, or more likely, a candidate for re-bodying or forming the basis of a special. 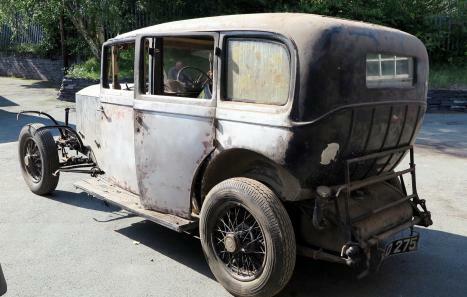 The coachwork is in very poor condition and it would be very difficult to justify the cost of restoring this, but it may well yield some useful fixtures & fittings for its replacement. 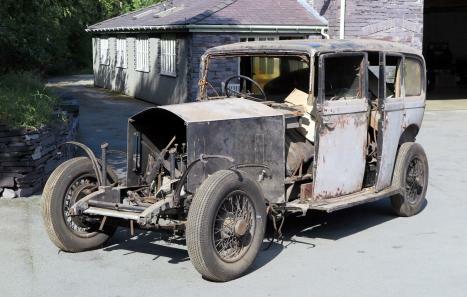 The chassis is good and mechanically the car is complete or nearly so, with various parts loose or in boxes. 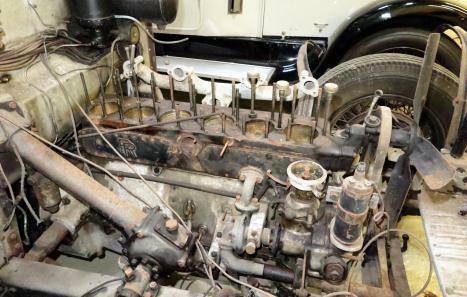 Radiator and cylinder head are removed but present. Lots of potential and offered at a sensible price. Complete with current V5 registration document and a buff logbook from 1953. Snippets: The Military Welsh Brother-in-law. 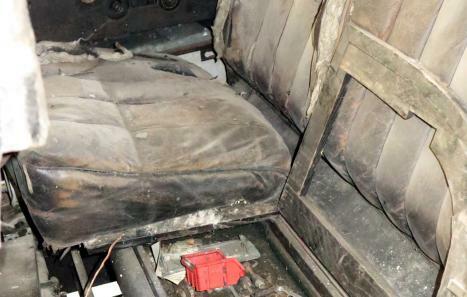 The chassis cards state that the car was ordered by Major H. G. Fowler of Shropshire. This gentleman would appear to be Major Hugh Griffith Coke Fowler DSO (1882/1947) who served his country from the age of 19 until he retired in 1932. During his distinguished career he fought in the 2nd Boer War in South Africa (1902/4), was posted to Russia as an interpreter (1912), in WWI he was posted in France (1914) & Gallipoli (1915) where he was awarded the DSO, from Nov 1918 to Sept 1919 the Major was stationed in Russia with the Intelligence Corp, again due to his ability as an interpreter. The Major’s other sporting attributes included paying Cricket & Rugby for his regiment and he made it to the semi-final for in the Army & Navy Boxing Competition in the Middle-weight class. His brother-in-law Richard Aveline Mayberry was also a military man having served in India with the Lancers where he was wounded in a cavalry charge, this meant that he could no longer ride a horse and so Richard Mayberry became a member of the Royal Flying Corps having learnt to fly in Egypt. In September 1917 Richard was awarded a Military Cross for attacking 3 aerodromes and in December 1917 he was awarded a 2nd Military Cross, sadly his aircraft was hit by anti-aircraft fire which cost him his life, aged just 22.